Who doesn’t appreciate tips that make our favorite things to do even more pleasurable? 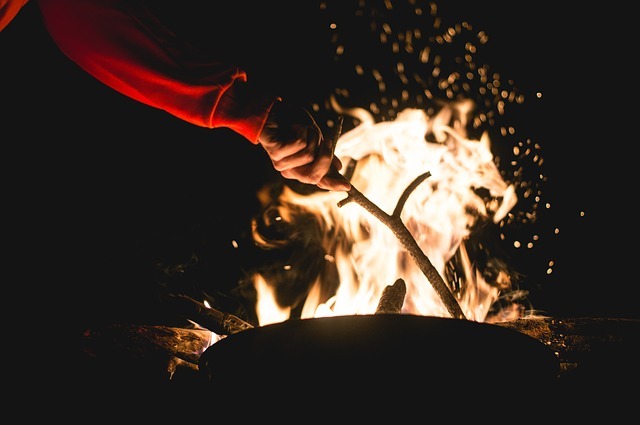 Here are 10 camping hacks that you may not have thought of, but you’ll find yourself using! 1. Make a lamp/light for reading in the evening on the cheap: fill a gallon jug with water. Invert a head lamp so it’s facing the water and secure it to the gallon jug with the strap. 2. Pre-scramble eggs for breakfast and pour them in a bottle (an orange juice bottle works brilliantly). No more hauling eggs in a carton to the campsite, and worrying about or dealing with breakage and waste! 3. If you’re not using a blowup mattress for sleeping, bring foam floor tiles. Sleeping with only a sleeping bag just got a LOT more comfortable! 4. Forgot to take your keys out of your pocket when you went swimming? Prevent them from sinking to the bottom of the lake by attaching a wine bottle cork to your keychain. 5. Make your own port-a-potty with a five gallon bucket, camping toilet seat, trash bag and kitty litter. 6. Who doesn’t love pancakes for breakfast? Mix up your pancake batter and store it in disposable cake icing bags, clipping them at the ends—when you’re ready to cook, snip off the end to create a tidy dispenser! 7. Create a mini medicine cabinet with a pill box; simply clip the paper labels from the packaging of every day OTC medicines, affix them to the lids of each compartment and take a few of everything with you. 8. Recycle Tic-Tac containers to hold spices for cooking. 9. Recycle a pill bottle by filling it with a cotton ball, bandaids, alcohol swabs, and individual antibiotic cream packets. 10. Don’t want to use tons of matches? Coat a cotton ball with Vaseline and wrap in a square of tinfoil. When needed, cut an ‘X’ in the foil, pull out a bit of the cotton, twist it into a wick and light. It lasts long enough to get your kindling started.